We exercise our body on a daily basis either through walking or otherwise. These exercises that we perform keep our physical bodies healthy and at the ready. However, it should be noted that the body is not only physical but also a combination of the spiritual and mental aspects. In exercising the body, we more often than not forget about the mental aspect. Our brain also needs exercising to keep it alert and knowledgeable. The best way to achieve this is being reading. Doing physical exercises and reading can both be done at their own designated time. What if you could do them both at the same time? To many this may sound impossible due to the vigorous movements made during a workout that would make reading quite difficult. This is not entirely true. One tech company by the name of Weartrons Labs has devised the perfect wearable gadget that will enable its wearers to perform both activities simultaneously. This unique wearable gadget is the Run-N-Read. 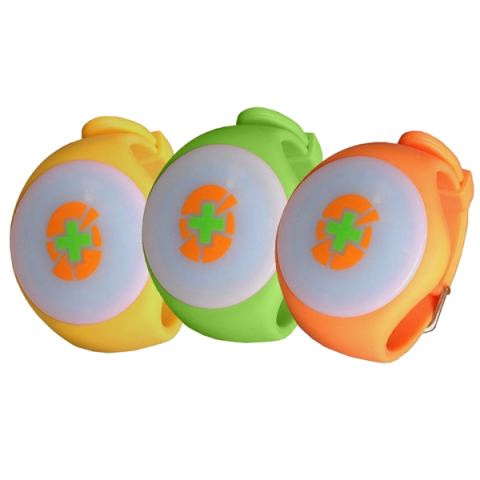 As the name suggests, the Run-N-Read enables its users to combine both physical activities with reading. The wearer can comfortably read any content displayed on their tablet as they exercise. The Run-N-Read is worn either on the chest or on the head attached to a headband. The Run-N-Read comes with a built-in low energy Bluetooth that allows it to connect wirelessly with tablets operating on the required operating systems. This enables the tablet to receive real time data and show real time results when the Run-N-Read is being used. When it comes to compatibility issues, the Run-N-Read is compatible with all devices operating on the new generation iOS as well as Android. 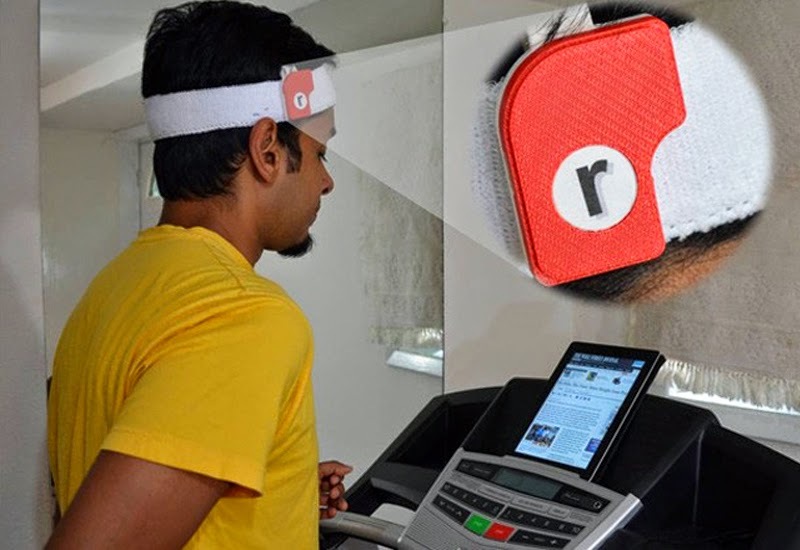 The Run-N-Read wearable device comes with a compatible mobile app. This app is free for all devices running on a compatible OS. In addition to the above specifications, the Run-N-Read comes with a gesture system for convenience purposes. A simple tap of the device enable its users to turn pages; a single tap turns to the next page while two taps turn to the back page. How Does The Run-N-Read Work? 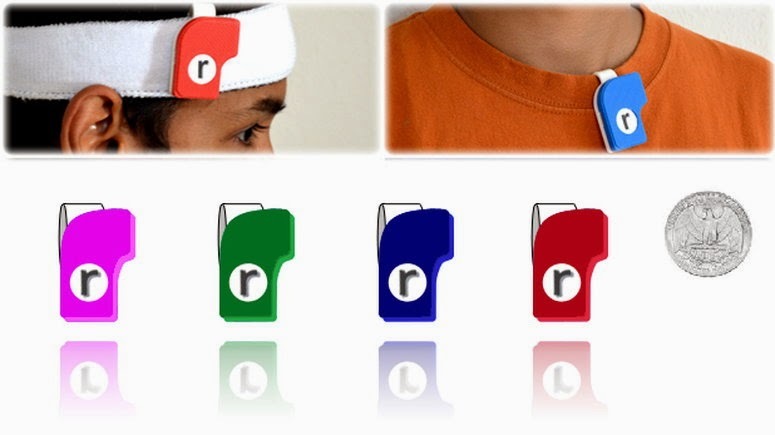 The Run-N-Read wearable device can be attached to either a headband or a wristband. Once the decision for its location has been made, the device is activated. Using advanced technology, the device is able to identify the wearer’s movements as well as their intensity. With this information, the device, through wireless connection to your tablet, causes the words on the screen to move with the same intensity as the individual. The words move with you making it appear as though they are stagnant. This makes reading while exercising a whole lot easier. In addition to this, the presence of other features enable the device to count steps taken and the calories burnt. To act as a simple fitness tracker, the Run-N-Read comes embedded with an accelerometer that enables it to keep track of activities performed. It also enables the device to count the number of steps taken. This wearable gadget uses a rechargeable battery as its power source. The battery is charged through a USB cable which is attached to the device via the USB port. On a full battery, the device can be used for up to 20 hour and a month when on standby. What To Expect From The Run-N-Read? Well, the Run-N-Read can be used as a versatile tracker. Some of the functions you can expect from this wearable gadget include Enable reading while exercising through the movement of words on the screen of your tablet. This movement of words is done with proximity to the intensity of your workout.Measuring the amount of calories burnt throughout any workout session.Monitoring activities done as well as counting the number of steps taken. Well, the expression of most people who have not used the device is that of disbelief. However, those who have had the chance to use the device could not hide their excitement. Other than the obvious uniqueness of the device, many of its users were astounded at its accuracy and effectiveness. Its versatility was also a thumbs up from many. Those who wanted to read and exercise got their wish while those who wanted to just exercise could also use it as an activity tracker. The long battery life was an added plus for this amazing wearable gadget. They say that when the deal is too good then think twice. However, this deal is just ripe enough for the picking. Once you experience this device, the only thing you will have to question yourself about is how you were living without it. Although the device is limited to a number of cardiovascular activities, its ability to allow easy reading while exercising is quite impressive and unique. You no longer have to put off reading that book that you love, the Run-N-Read wearable device has you covered. No more unnecessary sacrifices. What’s Trending In Fitness So Far For 2015?